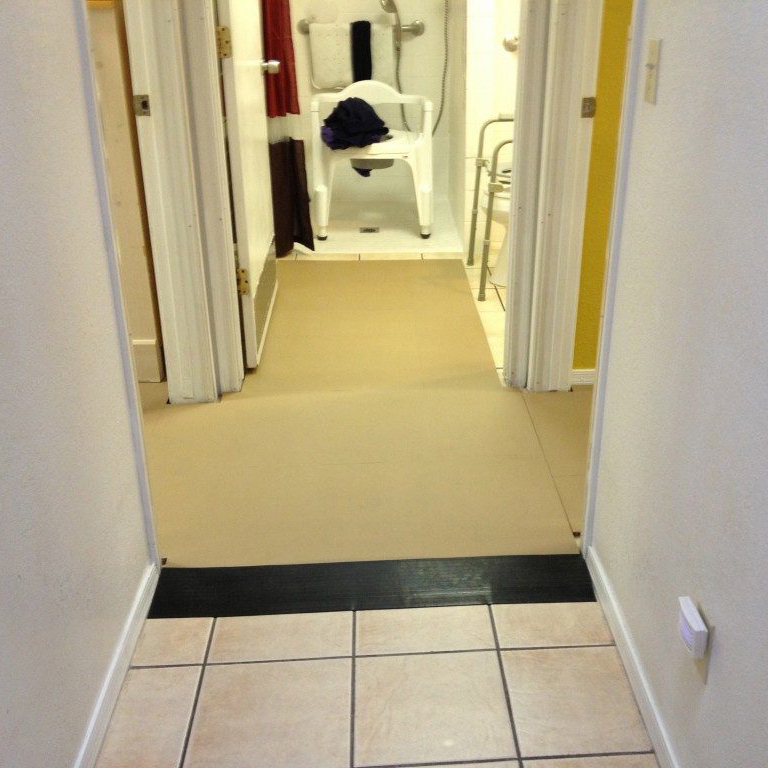 SmartCells Fall Protection flooring solutions provide a firm, stable surface that absorbs 90% of impact forces; drastically reducing the chance of serious injuries. SmartCells® Fall Protection technology is available as: fall protection mats, fall protection custom flooring, and build-your-own fall protection mats / flooring. SmartCells® offers several fall protection flooring and mat products designed to keep you and your loved ones safe at all costs. Our Fall Protection products are a great addition for any senior living center or residential home. SmartCells® cushioning technology products have a “resting state” – much like a non-compressed spring – with a natural, supportive, upright force that provides a compressible, soft surface that is also stable and supportive. SmartCells® Cushioning Products compress and absorb pressure/impact energy from standing, weight-shifting, walking, or from the impact of a fall. After reaching a “critical threshold” the cellular structures soften and collapse laterally, without bottoming out. SmartCells® get softer as force is applied and remain in this cushioned “sweet spot” for as long as the pressure remains. Like miniature springs, SmartCells® floor mats and products store impact energy until pressure is reduced or eliminated. The SmartCells® resilient rubber material and structure work “in-phase” with body movements to actively rebound, releasing their stored energy back into the body. SmartCells® bedside fall protection mats are only 1/2 inch thick, yet reduce impact forces more than 2 times better than mats that are more than twice as thick. SmartCells® fall protection flooring is only 1 inch thick, yet reduce impact forces more than 5 times better than mats that are more than twice as thick. 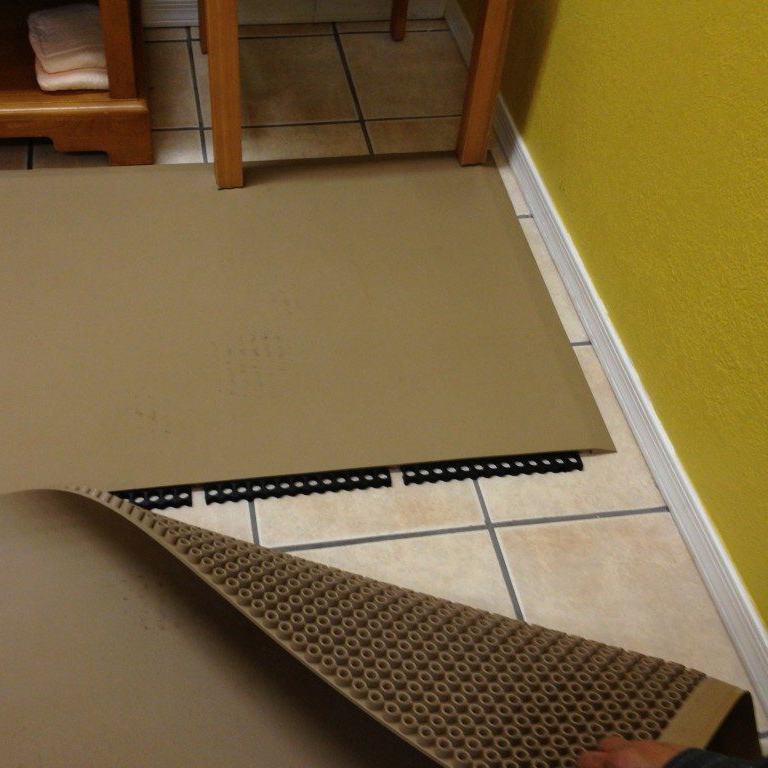 SmartCells® Interface Carpet-tile system can reduce impact forces even more. Color: For, some persons with dementia, a black mat will appear to be a hole in the ground, and will make them fearful. For this situation, consideration of a mat color is appropriate. SmartCells® bedside mats are available in grey, tan, and black.